Sharne Wolff graduated from UQ with a Bachelor of Arts (Honours) in Art History in 2014 having already achieved a Bachelor of Laws and a Bachelor of Arts (Political Economy & Government) from the University of Sydney. Most recently, she has embarked on a Masters of Research in the area of art and cultural studies at Macquarie University. In between all the study, Sharne became a solicitor, a legal academic and now, a freelance art writer. 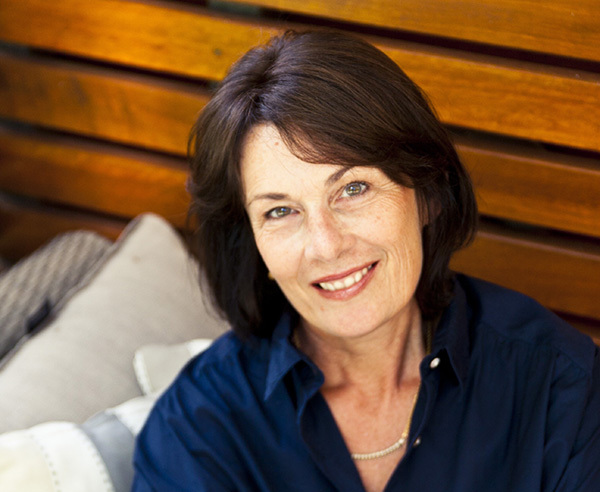 In addition to being a regular contributor to The Sydney Morning Herald, The Art Life and Art Guide, Sharne has written for Art Monthly Australia, The Guardian Australia, Imprint and other titles. We were interested to find out how the art and legal worlds came together for Sharne, the state of play in the freelance art-writing scene and her thoughts on the benefits of combining multiple study disciplines. Q: You were a solicitor and legal academic for 25 years before you diverted your attention to art writing and critiquing. Was there a catalyst for this change of direction or did these passions always co-exist? A: I guess both interests were always there, although I’m not sure if I recognised it that way. Initially I was interested in practising environmental law and soon after became attracted by intellectual property law, particularly copyright. Perhaps the reason for that was because it was the closest I could be to the arts. Both those areas of law are still very important to me. As for the shift, it was more of an accidental thing. Lots of things happening in my life around that period allowed me some time to pursue further study. Instead of writing legal advice, I started to write about art! I still have a current solicitor’s Practicing Certificate so maybe I’m hedging my bets? Q: Are there aspects of your legal career that you’ve been able to bring to your arts career – is there synergy between the two disciplines? Q: Can you share a bit about your experience of freelance art writing in Australia? Also, what do you think makes a freelance art writer successful in the local industry? A: While the print titles for art writing are shrinking in number, and newspapers are generally providing less space for the arts, there are still opportunities out there for those who are keen to give writing a go. Opportunities in online writing are in a state of flux, particularly in Australia. In the last few years I’ve seen a lot of art blogs and websites come and go. Some of the bigger sites have been unable to monetise their websites, so can’t pay their writers and haven’t survived. That situation, however, is matched by an increase in independent sites and individual bloggers who (presumably) write for the love of it. There’s space for more young writers and there’s definitely room for some innovative thinking about the way forward for twenty-first century art writing and criticism. Q: What do you love most about the work you do? A: I think the best part of my job is that most of what I do rarely feels like work. I love being a part of the art community and talking to artists, visiting artists’ studios, attending opening and exhibitions, chatting to gallerists, researching art history and artists’ careers, and so on. I also love writing – although because of the constant deadlines, that’s the part that always feels more like ‘work’. Q: What advice would you give students considering a career in art writing? What about those who may be thinking to combine their Art History studies with another discipline? A: I think it’s a great idea to study two or more disciplines, because for many people it’s only once you arrive at university that things begin to pique your interest. In my view, the study of Art History combines well with almost any other discipline. Artists make art about the world they live in – there are no limits to what that might be. So far as career advice goes, my best tips would be to see as much art as you can – go to gallery openings, hang around galleries and ask questions, chat to artists, get to know your artist peers – and then just start writing. It sounds like a cliché, but it’s the best way to get started on an art-writing career. UQ Art Museum is open daily from 10 am until 4 pm. The Art Museum offers a range of public programs and opportunities for students. Register to receive our e-news and invitations and follow UQ Art Museum on Facebook to keep up to date. Tags: art writing, Sharne Wolff. Bookmark the permalink.